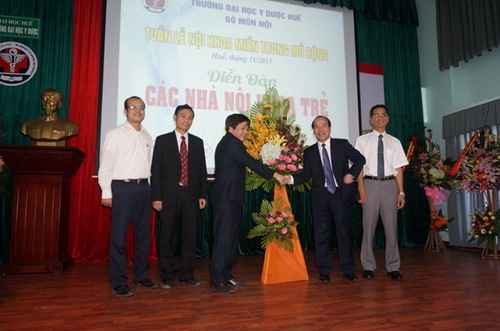 Chairs: Prof. Leonardo Antonio Sechi, Prof. Michael Dunne, Prof. Nguyen Vu Quoc Huy, Prof. Vo Van Thang, Prof. Le Van An. - Infection and Autoimmunity, what’s the connection? - Pediatric Obstructive Sleep Apnea – Multidisciplinary approach. Identification of a novel TMPRSS2 – PATZ1 fusion in prostate cancer in Sardinia populations by next -generation sequencing. Risk factors of picky eating in children aged 1 to 5 years in Hue city, Vietnam. Metaproteogenomic analyses of the gut microbiota in human and animal models: identification of changes induced by special diets in health and disease. Molecular characterization of Mycobacterium leprae in Quy Hoa Dermatology Hospital, Binh Dinh Province.